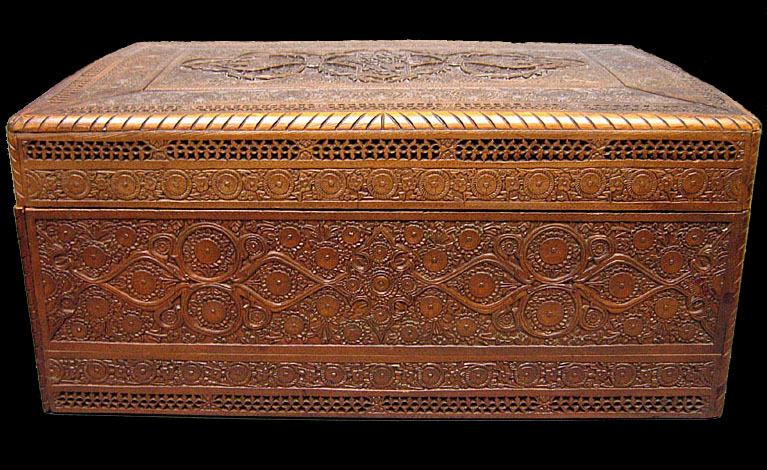 Wooden box with an islam-text carved on top. Made in Sumatra, Indonesia. Very interesting box, used to store a handwritten Koran. Pls click on each photo to see two larger images.